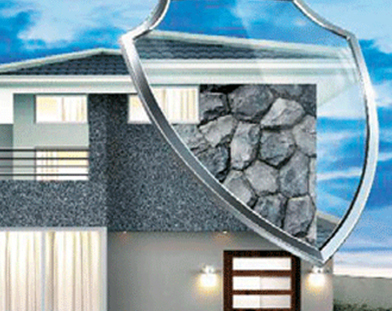 Benefits of Insulating with ThermoShield Cellulose Insulation? When it comes to insulation, you want the best… naturally. Selecting the right insulation is a very cost effective way to reduce your heating and cooling costs. During the winter months, Canadian temperatures can plummet to a bone-chilling -40oC, while in the summer months, our temperatures can soar to over 30oC. Would you go outside during winter without a jacket or hit the beach without sunscreen? Insulation is your home’s blanket that keeps your investment warm in the winter and cooler in the summer months. Cellulose insulation provides a consistent thermal resistance during extreme weather conditions and maintains a stable R-value. By saving energy this means you’re saving money. There are a lot of options available to homeowners wishing to insulate or upgrade their existing insulation, however it is important to note that not all insulations are created equal. 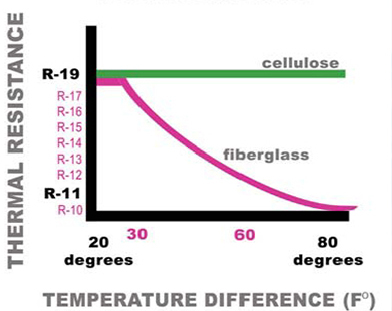 Cellulose insulation performs best even under the most demanding of conditions where there are extreme differences between inside and outside temperatures as shown in this study from Oak Ridge National Laboratory. Your home is most likely the biggest investment you will make in your lifetime. By installing the proper type of insulation you will noticeably suppress noise in walls, floors or ceilings thus making your home a peaceful and comfortable retreat for years to come. Insulation is an added protection to your home investment that regulates your indoor living environment by making it warmer, quieter and safer. Our products are very versatile and can be applied virtually everywhere in your home. Some applications can be done yourself while others should only by installed by a certified installer. 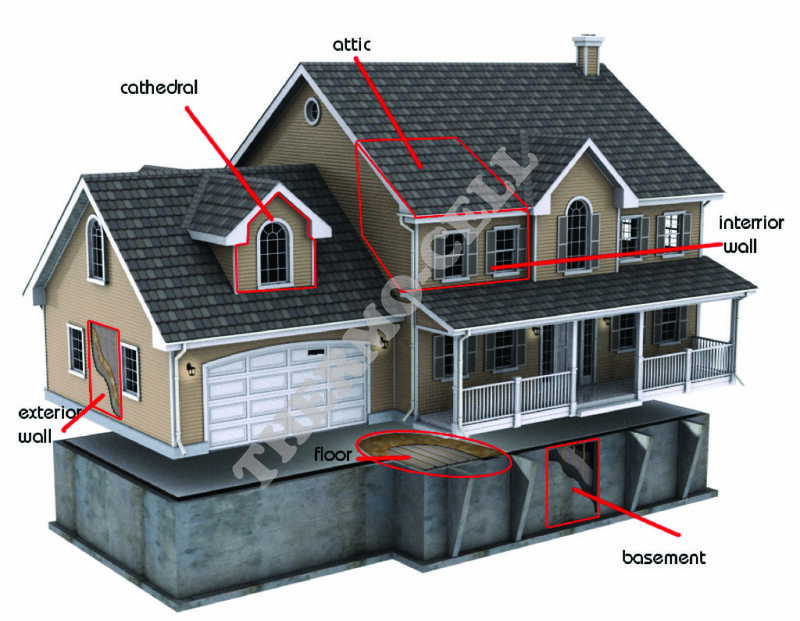 The most common locations for insulation are attics and walls. However, to gain the maximum impact and energy savings from your insulation, it should also be installed in ceilings with unheated spaces, overhangs, sun-rooms, dormers, crawlspaces, floors, etc.